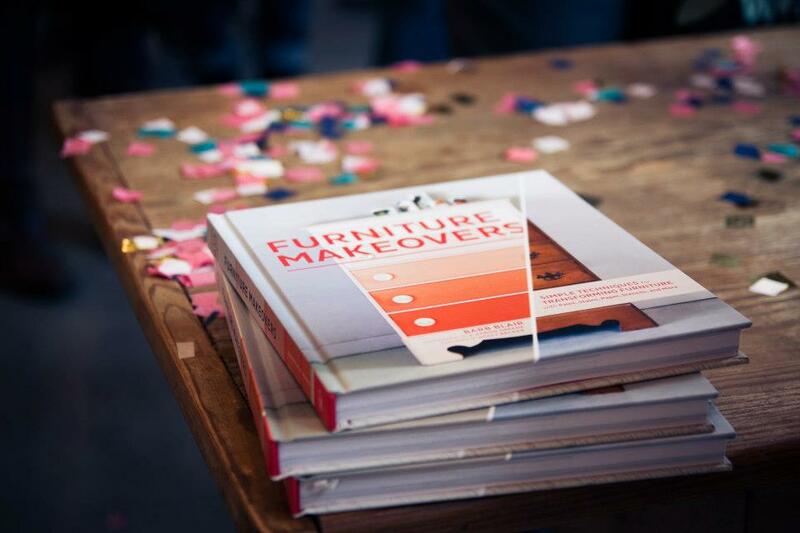 Furniture Makeover Book Review, Project, & Giveaway! 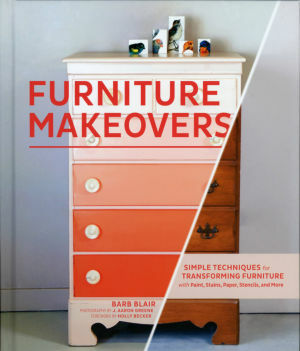 If you haven’t heard of the new book Furniture Makeovers by Barb Blair. You are missing out!! This is a great resource for DIY tips and techniques on restoring, updating, painting, and fixing furniture! Furniture Makeovers shows how to transform tired furniture into stunning showpieces. You’ll never look at a hand-me-down dresser the same way again! 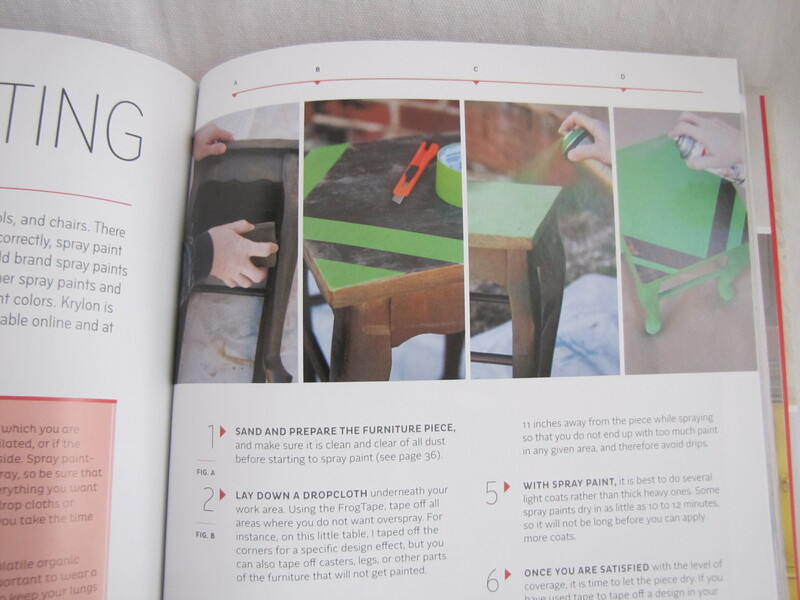 The book offers 26 easy-to-follow techniques that can be applied to all different types of pieces, from bookshelves to desks: painting, applying gold leaf, wallpapering, distressing, dip dyeing, and more. In addition to the core techniques, author and Knack Studios founder Barb Blair shares 30 beautiful before-and-after makeovers from her studio and outlines how to achieve each look. With helpful step-by-step photographs, a visual glossary explaining all the tools and materials needed, and a lovely contemporary aesthetic, Furniture Makeovers is a treasure trove of ideas and instruction for the home decorator. I don’t know about you but I LOVE before and after pictures, especially ones with tips on how they did the makeover, and a story behind the piece. This book is not lacking this at all! Barb goes into great detail about how she made these pieces new that are easy to follow and wonderfully informative. My favorite part of each of these projects? She has a materials list! You’ll know exactly what you need before you even start the project! Thanks to this book giving me some serious inspiration, I decided to do a makeover pieces myself! We’ve had this corner cabinet in our family longer than I can remember and it’s been passed down to me! I love the idea and the functionality of it but in it’s current location – it sticks out like a sore thumb! 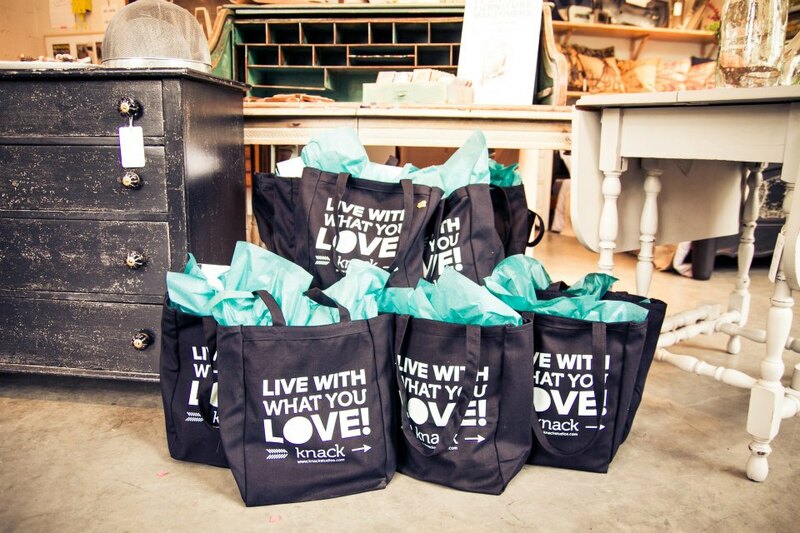 Today I’m doing a giveaway for a SIGNED copy of Furniture Makeover’s and a fun Knack Tote! One lucky winner will be receiving these goodies in the mail in no time! Want a chance at being a winner? Comment below letting us know what piece of furniture of your own that you’d love to update along with an email address to reach you at! The contest winner will be contacted via email Wednesday, July 31st! I would love to update a huge oak desk that was given to us by a friend when we were first married (almost 30 years ago). It is showing it’s age. 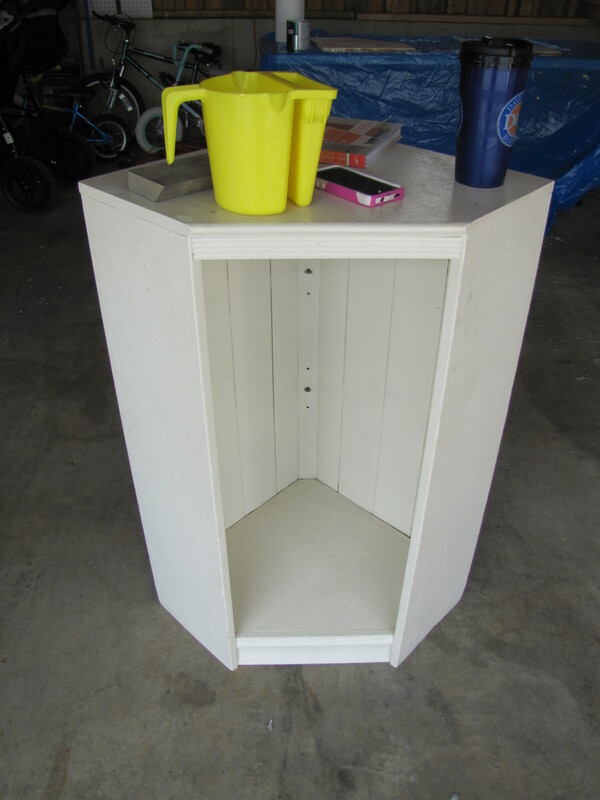 Jenn, have fun with your next make-over…..the nightstands you did are so nice, and to think they are 30 years old……you’d never know!! Looks like fun projects! Enjoy! I inherited a piece from the previous owners of our home and I am hoping that some clean up and new knobs could bring it back to life! I live in a rented flat so I own only furniture I have inherited. I would love to transform a wood chest which my tv sits on. I see it all the time and I would love to see it looking beautiful rather than plain! I have an old hutch that my husband and I inherited when his grandmother passed away. It’s us beautiful but needs to be restored due to years of use. I have 2 rescued kitchen chairs that need some help. I sure could use a little inspiration! My dresser could use a major overhaul! I have an old buffet that’s dying for me to read your book! I have an outdated coffee table and end table that needs help!